For certain patients, the risk of becoming caught in bed rails is high, so extra precautions must be taken to ensure their safety. 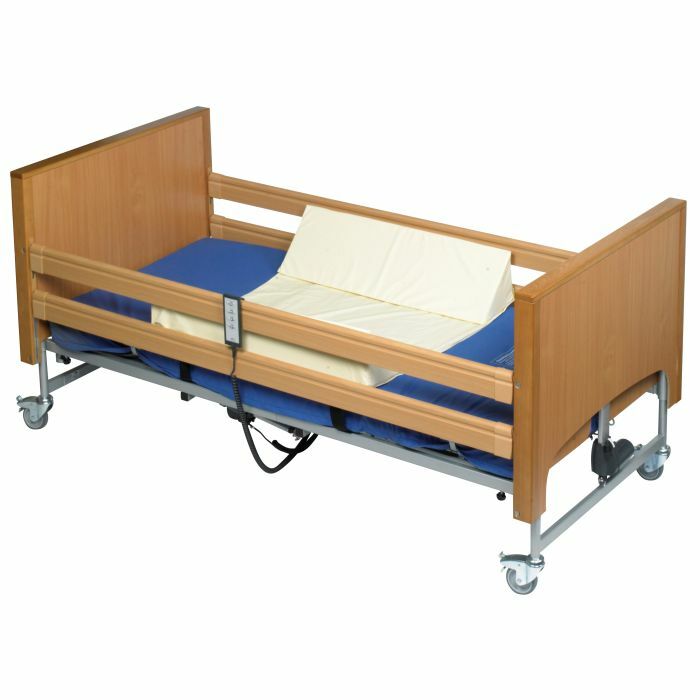 The Harvest Safety Wedge Set 900mm provides a safe, firm, sloping barrier to keep the patient comfortably positioned and free from injury whilst sleeping. The wedges are fastened by Velcro to a waterproof link sheet for added safety and security. This product is not recommended for use with air mattresses. Manufactured from a waterproof vapour-permeable materials, these safety wedges can be positioned wherever the user needs them most. They can also be doubled up (using two sets) to provide a full-length wedge. These safety wedges are 900mm in length. Please note that while the image above shows the wedge set on a bed, this product includes the wedge set only.